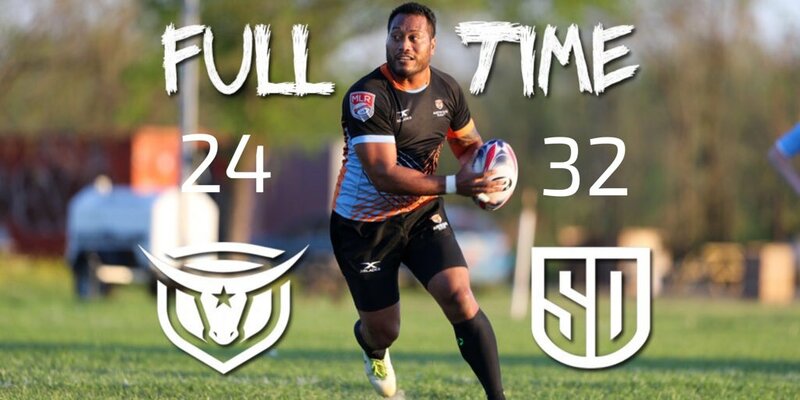 The San Diego Legion played their first pre-season match on Sunday beating Austin Elite 32-24 on the road. It was also the first game of the year for the Austin Elite. The Legion went up first on a penalty and soon added a Cam Dolan try to lead 10-0. Mason Pedersen would cut into the lead with an unconverted try of his own. However, Pat Blair would add to the front-row try fest as the Legion would lead 18-5 at the break. In the second half Austin would go on a bit of a run with Pedersen, Timothy Guillimin, and Deon Minnaar all scoring to temporarily put Austin in front 19-18. Still, Austin would score twice to give them a lead they wouldn't relinquish despite Austin scoring once more. Up next for Austin is a home and away pre-season series against the NOLA Gold. Bench: David LeMasters, Siaosi Finau, Robert Drummond, Dylan Goulding, Knute O'Donnell, Pat Sullivan, Joedee Reyes, Alex Faison-Donahoe.